*Taylor Wimpey will deliver 50% of the new homes. Bonnyrigg is located between the North and South Esk rivers and has a strong heritage based on manufacturing and coal mining. The town has adapted over the years and today employment is more varied whilst the town centre remains a vibrant focal point for the community. The development is an excellent example of our Strategic Land and Planning team and our regional office, Taylor Wimpey East Scotland, working successfully together to design and achieve planning consent for a masterplan covering a large area. We are constructing a development of over a thousand homes with supporting facilities and infrastructure. After carrying out the necessary remediation and infrastructure works (including building the first phases of the distributor and spine roads, sustainable urban drainage system, a sub-station and moving overhead high voltage cables underground), we started to build the first homes in the spring of 2007. We sold land for about 400 homes to other private developers and together we had completed over 620 homes by the end of 2012. Hopefield is already becoming part of the Bonnyrigg community. 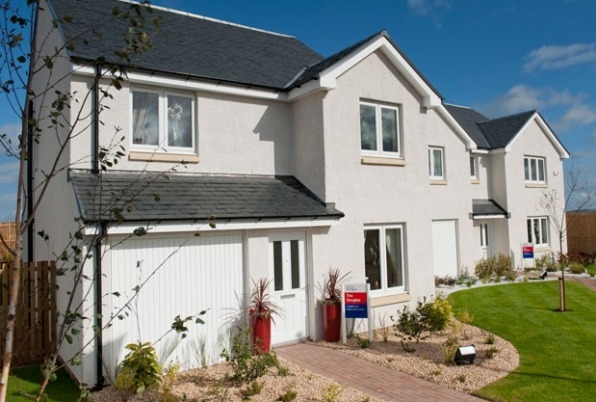 We provided Midlothian Council with the land necessary for the delivery of the 100 affordable homes. Working on a contractor basis we built 53 of these affordable homes for the council during 2011–2012 (the remaining 47 have been built by another developer under a separate contract with the council). The site, which consisted of agricultural land and a former colliery, was first identified for development through the Edinburgh and Lothian Structure Plan (approved in 1997) and was included as a major housing allocation in the first Midlothian Local Plan (adopted in 2003). After securing the purchase contracts needed to bring the land necessary for the project under our control, we achieved outline planning consent in August 2003 for 1,100 new homes, a new primary school, retail, employment and sports/recreational uses. 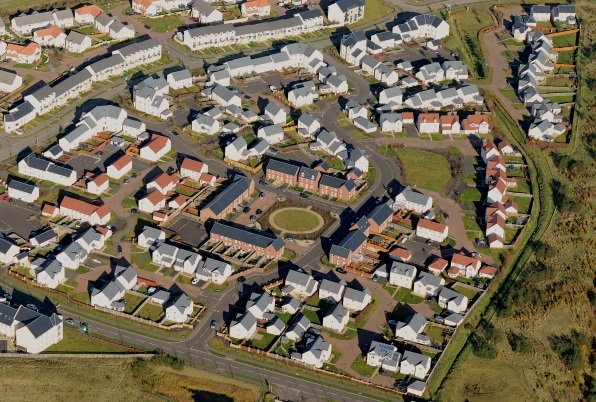 In June 2005 Midlothian Council approved our detailed masterplan, which later received a Commendation in the Development Plans Category of the 2007 Scottish Awards for Quality in Planning. The 1,100 new homes originally envisaged have received planning consent, however as the development matures and as the result of good design, it has become clear there are additional parcels of land that will provide us with additional capacity to deliver around 200 further new homes. Main infrastructure delivery started at the end of 2005. These works included construction of the new £4.5 million Bonnyrigg by-pass and remediation of the former colliery site. Our remediation strategy for the site was agreed with and approved by Midlothian Council. This comprehensive strategy ensured that no waste material was taken away from the site. Instead the material generated has been re-used under roads and areas of landscaping. Five mine shafts have been capped to allow development to proceed. We control 52.6 hectares of land to the south of the current site. We are continuing our successful relationship with the council and engaging with both planning officers and elected members on a regular basis, and this land for Phase 2 of our proposed development has now been allocated within the emerging Midlothian Local Development Plan. We will be preparing an application for planning permission in principle, with a view to submitting in the first half of 2017. We believe that this second phase of Hopefield could potentially provide a further 800-1,000 homes, including 25% to be allocated as affordable housing, together with the necessary community facilities. The masterplan has a central park with approximately 5 acres of open space that includes a children’s play area and two five-a-side football pitches. Footpaths and cycleways, including the popular Penicuik to Dalkeith cycle route, link this park with the rest of the development and the surrounding community. Construction of a new primary school was completed in 2012 with the first pupils starting at the beginning of the 2012/13 academic year. The school has 15 classrooms plus a special needs unit, nursery, gym, kitchen, library, expressive arts room, and support staff facilities. We have delivered it in partnership with Midlothian Council, on time and within its £6 million budget. We have detailed planning consent for a local centre, which includes shops and offices. We are currently looking for a suitable commercial developer to buy the necessary land and build the commercial centre. In addition, as part of the Section 75 planning agreement we have provided 12 acres of serviced land to Midlothian Council for use as an employment park and we have also made financial contributions of over £2 million for improvements to the town centre, a secondary school, and Poltonhall’s sports facilities.